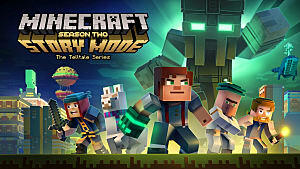 Telltale Games, indie game publisher and developer known for narrative story telling games, and Minecraft's Mojang released episode 6 of their Minecraft: Story Mode series today. The episode, "A Portal to Mystery" is available digitally for Mac and PC users from TellTale's Online Store as well as Steam. 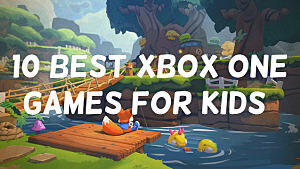 Console owners may download the episode via the PlayStation Network for PS3 and PS4 users, and the Xbox Live Marketplace for Xbox One and Xbox 360. The episode can also be purchased on iOS devices through the App Store, or by Amazon Appstore and Google Play for android users. The episode can be bought along with a Adventure Pass that will include episodes 7 and 8 when they become available for $14.99, or purchased separately for $4.99 USD. 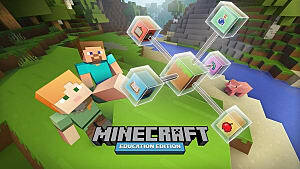 This episode features various Minecraft YouTubers providing voice acting for characters featured on their own channels. 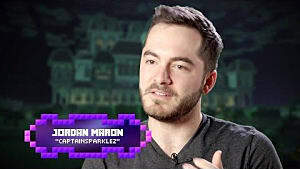 The guest stars include: Joseph Garrett acting as Stampy Cat, Stacy Hinojosa as Stacy Plays, Jordan Maron as CaptainSparklez, Dan Middleton as DanTDM, and Lizzie AKA LDShadowLady. 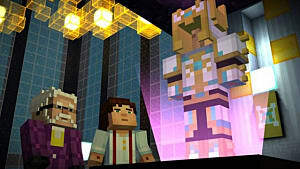 The episode's trailer features Jessie and crew traveling to another world through the portal hallway. 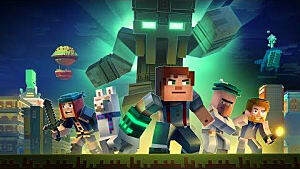 Arriving in the new world, it doesn't take long for the crew to realize that zombies dominate much of the land. The characters are fighting to survive when they receive an invite to take shelter in a ominous mansion. While in the mansion, an eerie mystery starts to unfold centering on "The White Pumpkin" and their identity. Will you solve the mystery, or die trying? Free Stride! 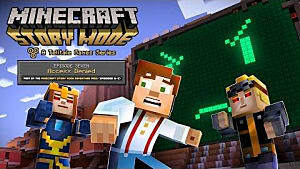 The First Chapter Of Minecraft: Story Mode Is Free! 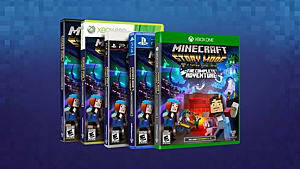 Minecraft: Story Mode - Complete Adventure Is Coming To Disc This Month! 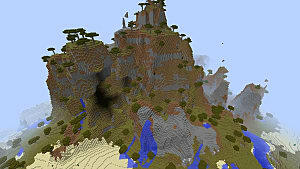 Minecraft Seeds: 5 of the Tallest Locales Out There!